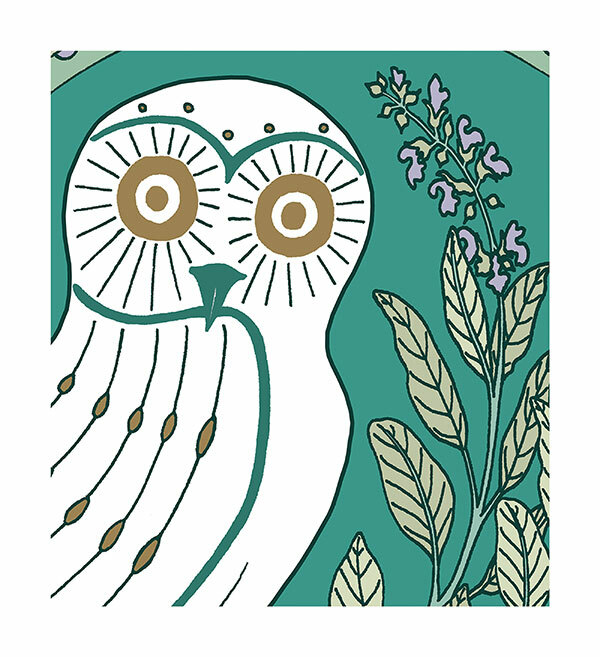 Logo design for ‘White Owl’, a Bristol based project specialising in therapeutic singing, massage, warm bamboo massage, antenatal and postnatal care, tarot, menstrual health and women’s circles. Original drawing, pen and ink on cartridge paper. Digitally coloured.